I can remember suffering from ear infections as a child and having to drink that refrigerated, pink medicine. The medicine wasn't so bad, but the ear infections were. Can anyone else relate? When I was a young mommy, I wanted to do everything I could to keep my kids ear infection free. 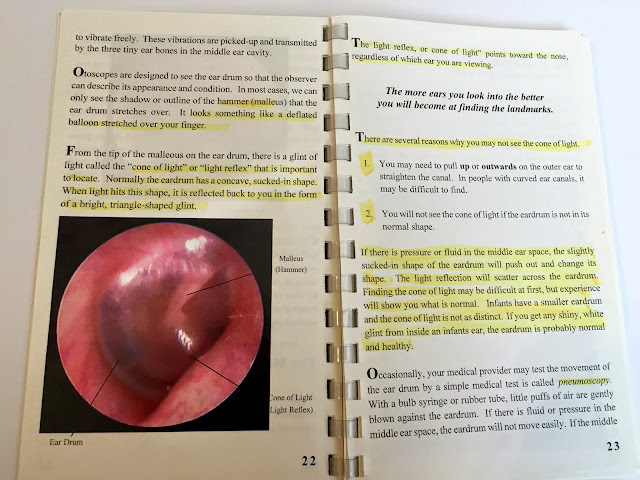 I researched tons of information about preventing ear infections, and while I instituted those findings, I also wanted to be prepared in case my children ever did get ear infections. So, I bought my very own Earscope - an otoscope you can use at home for a pretty reasonable price. 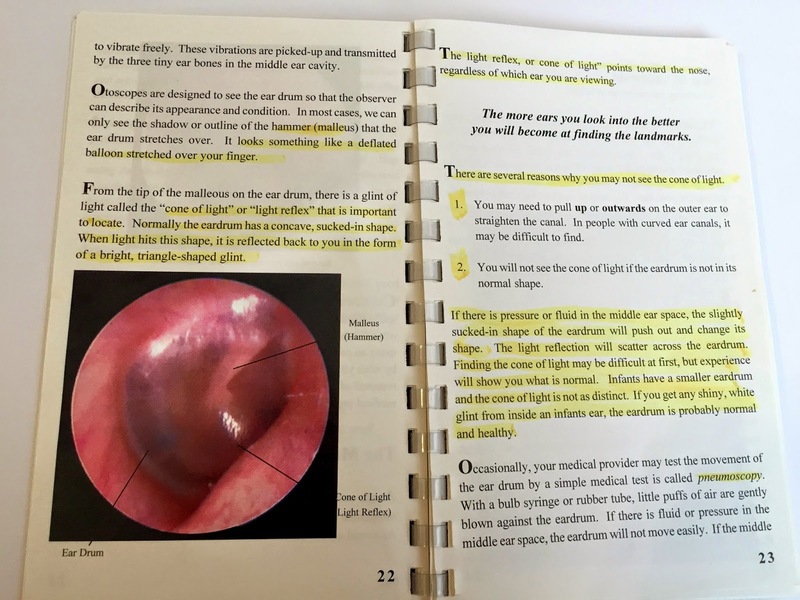 I also bought Ears: An Owner's Manual which teaches you about ears and how to properly use an otoscope. It's super easy to use. You don't have to run to the doctor every time your child complains of an earache. You can monitor your child's ears if he does get an ear infection. Tip: It's good to practice using your Earscope on your kids when they aren't sick, so you know exactly what your children's healthy ears look like. Anyway, I did take the slip of paper with the prescription on it home with me, but, thankfully, I never had to call it in. 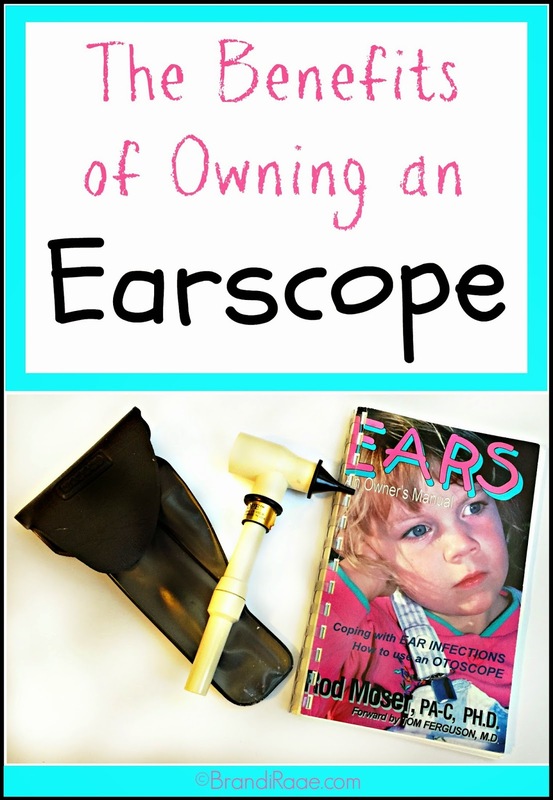 Because I owned an Earscope, I was able to monitor my son's ears on a daily basis. Honestly, I don't remember even seeing any type of infection, but I kept a close watch. I knew I was no doctor and that I could have been missing something. My son never showed any signs of having an ear infection, and nothing ever came of it. I can't tell you how glad I was that I didn't give my son the prescribed antibiotics. #2 I admit, even though the ear manual says you shouldn't use cotton swabs to clean out ears, I did clean out my kids' ears on occasion. I was always super careful and never went into the ear canal - just around the outside to get rid of that nasty yellow gunk. Ugh. Well, one day while I was sitting on the floor with my second child in my lap (he was about 4 at the time), and with my other 2 kids beside me, I was ever so gently cleaning out the ears of the child who was sitting in my lap. Unexpectedly, he turned his head pushing the cotton swab further into his ear canal. It all happened so fast - he started crying, and I panicked. I remember thinking, NO! Not his eardrum. Oh, please, no! Thankfully, my young children didn't really suffer from ear aches much. I can honestly only think of a few times that my children complained of ear pain, but I was so glad to have an Earscope with which to monitor their ears. I've never given my children antibiotics for ear issues (other than that one time mentioned above), but I did give them Hyland's homeopathic earache tablets to soothe pain. Truly, owning an Earscope works for me! I've provided links to all of the products I have mentioned in my post below. Looks like both books are the same with the second one pictured being a more recent version, I believe. I own the one pictured in the graphic above. Linked to WFMW, Mommy Monday Blog Hop, and any of these other link-ups.